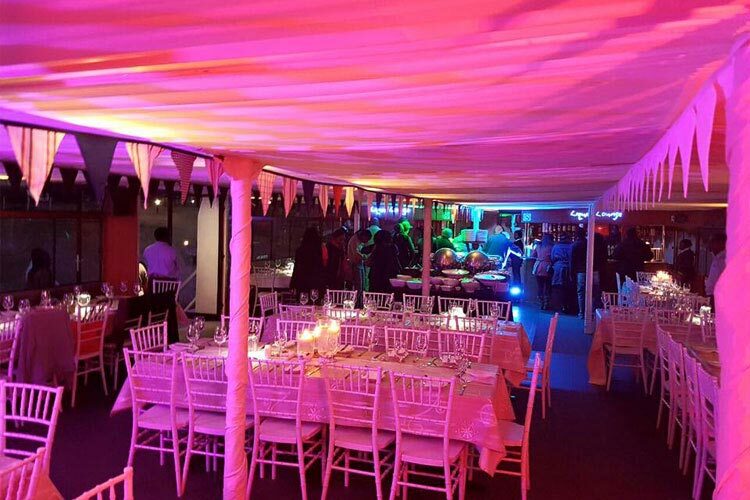 The Liquid Lounge is a very popular choice when it comes to Vaal Triangle function venues, due to its very unique offerings. Our river cruiser, which is able to accommodate any function including weddings, corporate functions and special events truly is a spectacular function venue in the Vaal Triangle. If you are looking for a function venue that will exceed your expectations, contact the Liquid Lounge today. We guarantee that you and your guests will enjoy your function aboard the Liquid Lounge. Whether you are hosting party, corporate function or wedding, you will enjoy an exhilarating experience with your guests. Corporate functions: The Liquid Lounge is equipped to host any type of corporate function including year-end functions, prize giving and teambuilding events. We offer luxurious facilities that will fulfil your requirements. Our professional staff and excellent catering will ensure an enjoyable event aboard this Vaal Triangle function venue. Weddings: The Liquid Lounge is a very popular Vaal wedding venue, and is the ideal venue for your fairy tale wedding on the beautiful Vaal River. Our experienced wedding coordinators will take care of everything from the décor and the food, to ensuring your guests have everything they need to enjoy your special day with you. Treat yourself and your wedding guests to a river cruise aboard our luxury river cruiser whilst celebrating your wedding day. Parties and special occasions: We have hosted many parties and functions for special occasions including 21st Birthday celebrations, Kitchen teas, baby showers and more. 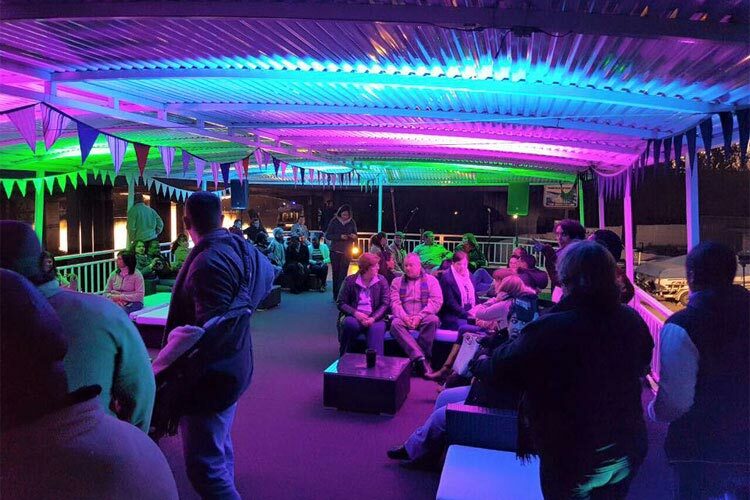 Book the Liquid Lounge as your next function venue in the Vaal Triangle and wow your guests with a spectacular and memorable experience! You will enjoy all the luxurious facilities you can expect at a top class function venue including sufficient toilet facilities, a dance floor, a high quality sound system, upper and lower decks as well as a cash bar. Choose your style and setup e.g. cocktail seating, formal seating plans and more. Contact the Liquid Lounge to book your next party, function or event, and make use of this spectacular Vaal Triangle function venue for the occasion. You and your guests will truly enjoy our river cruise experience, whilst sipping on your refreshments and taking in the beautiful Vaal River views.